Brief：Dalian Wanda Group in talks about a minority share in TV and film company. Chinese entertainment and real estate giant Dalian Wanda Group Co. may be closing in on a bigger slice of Hollywood. Wanda, which owns U.S. cinema chain AMC Entertainment Holdings Inc., is in talks to buy a minority stake in American film and television company Legendary Entertainment, said a person familiar with the negotiations. The two companies haven’t yet made a final decision about the financial terms or how they will collaborate, the person added. Closely held Wanda’s chairman, Wang Jianlin, met with Legendary’s chief executive,Thomas Tull, in June, according to information on Wanda’s website. Wanda, a major name in China, wants to raise its profile overseas, with aspirations to be a global film giant. 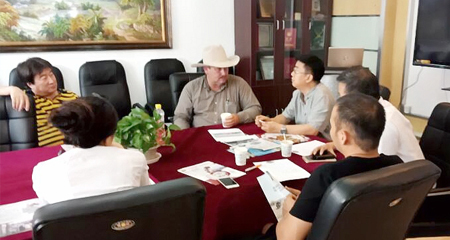 The Beijing-based company has talked with a number of Hollywood studios—such as Lions Gate Entertainment Corp., best known for “The Hunger Games"—in the past several years, looking for acquisitions and film collaborations. Legendary, meanwhile, has been among Hollywood’s most aggressive players in China. In 2013 it teamed with state-owned China Film Co. Ltd to form Legendary East, a joint venture making big-budget movies in that country intended for a global audience. 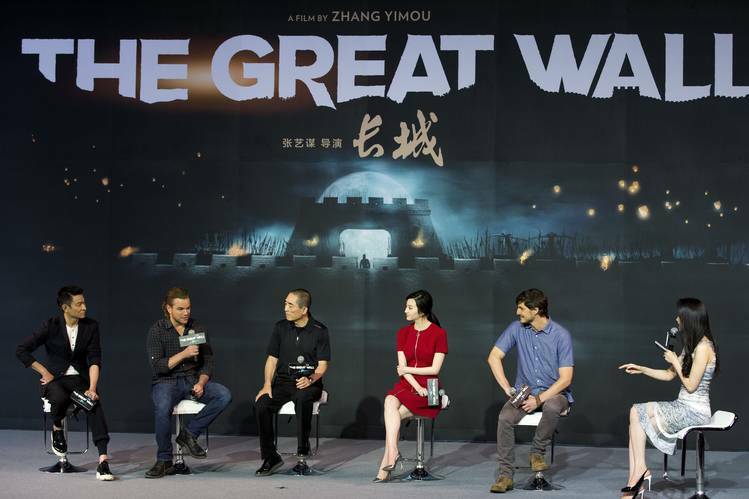 Its first production, “The Great Wall” starring Matt Damon, will be released in November next year. Best known for helping to finance such movies as “The Dark Knight,” “The Hangover” and “Jurassic World,” Legendary has in the past few years started producing its own movies, including “Godzilla,” “Seventh Son” and the just-released “Krampus.” It has also launched television and digital businesses. A deal with Wanda could give Legendary stronger connections in China and tie Wanda closer to Hollywood. Legendary has a multiyear business partnership with ComcastCorp.’s Universal Pictures. Earlier this year, Wanda’s movie-theater arm, Wanda Cinemas, said it planned to work with Chinese Internet giant Tencent Holdings Ltd. in its effort to expand its movie unit, boosting marketing and promotion. Tencent is also investing in Legendary’s big screen adaptation of the videogame “Warcraft,” which will be released next year. Wanda has already started financing Hollywood films, providing the full production budget of about $30 million for the recent boxing film “Southpaw,” which was released by Weinstein Co.
Last year, Legendary took on another major investor: Japan’s SoftBank Corp., which paid $250 million for a 10% stake with the right to invest another $750 million in coming years. They also formed a joint venture to distribute Legendary content on digital platforms in Asia. The Wanda-Legendary talks were reported earlier by Variety.